The age of retirement is becoming an increasingly topical issue. As waves of baby-boomers are now reaching what was once a popular retirement age, as well as issues such as individual’s greater longevity, the state of retirement savings and the rapid ageing of the population, the topic of retirement intentions is getting a lot of attention. The Government has further focused attention on this issue with its plan to progressively increase the age for pension eligibility from 65 to 67 over the next few years. The age that an individual chooses to retire can have a significant influence on their retirement savings, and as a result, their standard of living throughout their retirement. Undoubtedly, a shorter retirement is more affordable than a long one. Those who elect to remain in the workforce have the opportunity to save for longer, for what will be a shorter retirement. Some people are not in the position to choose their own retirement age given such considerations such as their health and the availability of employment opportunities. Of those who intend to eventually retire, 17 per cent aim to retire at 70 years or older and almost half intend to retire between 65 and 69. Early retirement was not an attractive option with only 9 per cent intending to retire between 45 and 59. 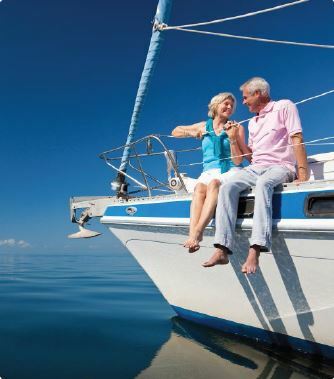 Retirement is becoming a reality for many Australians. It is always a good idea to discuss potential retirement ages with a professional. This will help individuals to understand the impact of the intended retirement age on the ability to finance their desired standard of living in retirement. These conversations are best to have well before any targeted retirement date to allow for consideration of all options.